Welcome back to another week of Blogging Through the Alphabet with Annette from A Net in Time and I. We are glad to have you here with us. Are you looking for some encouragement? We have it. Are you looking for ideas? We have that also! Are you here to share your post with us? We are excited to have you here! This week we are working on the Letter Q. This is one of those tough letters. The one that makes you think a little harder. I found a few ideas, but nothing that really struck me as being able to truly write about it. Then I thought of quiet time. And while I was thinking of one thing when I thought of quiet time, a little looking showed me it can mean two things, both of which are relevant for me right now. Ever since the kids were little, we would have a certain time each day that we called quiet time. This was my life saver! Especially when I had a toddler, infant and two to three extra kids who I would watch. This time each day meant that everything stopped, everyone would find a pillow and blanket and we would find a good movie to watch. This time usually happened after lunch when I was worn so thin I didn't know what I would do next. The kids all knew this time, quiet time was said and they knew what to do! Fast forward and now we are homeschooling, we have a teenager, elementary aged and kindergartener along with a toddler. We do not have the extra kids and there is no infant currently in the house, but those words still hold the same effect. In fact, the kids ask me from time to time when it is going to be quiet time. This time has grown on us. We take a break from the day, from the stress and from the busyness. When you have a house of kids and quiet is limited, a set time each day to look forward to is a wonderful thing! Moe Man skips out on the movies most times as he is older now, but he is still required to do something that requires him to be quiet, watching his own movie or reading a book. If the kids don't like the movie I pick out, they are free to lay down and read a book of their choosing. And yes, I pick these movies because I don't want to deal with a fight over who picks out the movie! Now, another meaning for quiet time is time quietly spent with the bible. This is another great quiet time to look forward to each day! Many moms strive to get up early and have this time alone before the kids and the commotion start for the day. Heck, I even tried. I tried the programs that are supposed to help you get up and accomplish so much more in the morning including your quiet time, but I stay up too late and that just doesn't work for me. 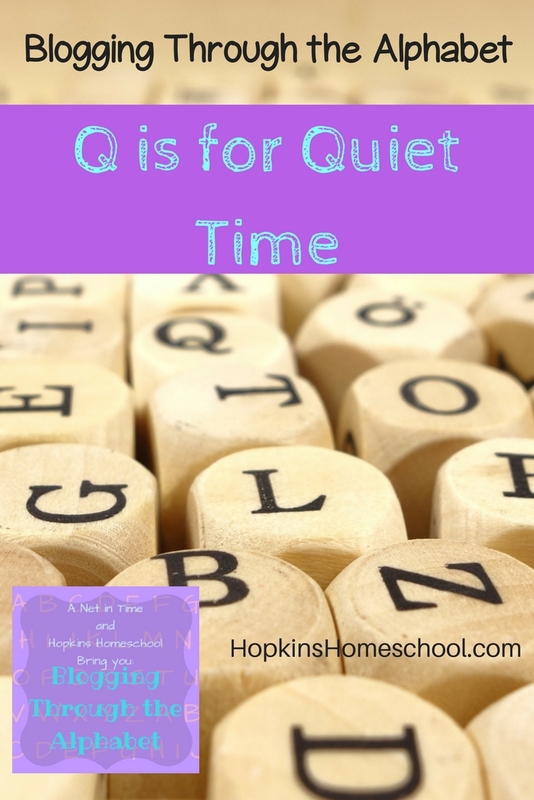 My quiet time is usually after the kids go to bed and before I spend time working online. I am able to be extra thankful for the things we were given that day and ask for guidance for what went wrong. While we have normally done our bible studies together with the kids, I have started to let them have some time alone with this now that they are getting older. Christmas this year brought the boys devotionals that are geared towards their ages since they both had a bible and the girls each got a bible. Little Miss got a "big" bible, meaning a regular, non-kid bible. She goes nowhere without this and even needs to hold her bible to fall asleep at night. Baby Girl got a fun kids bible that we are able to read aloud from, short, sweet, to the point stories that are perfect for her! While we don't call this quiet time, it is still the same. In our house it is called bible time. While we have a different name for it, it is still the same underlying concept. We all take some time, the boys by themselves, and the girls with me and we spend some time in our bibles with God every day! 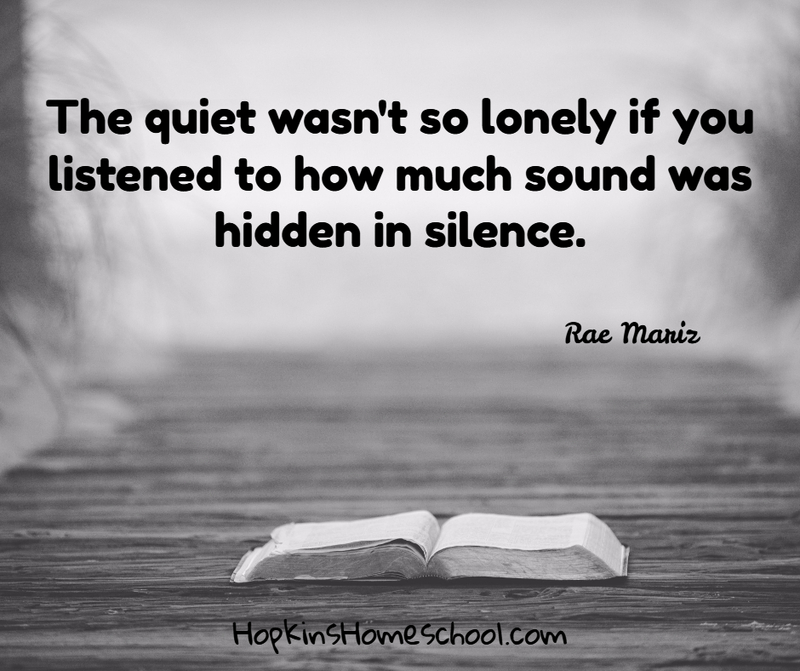 Do you have a quiet time in your house? Is it a set time when all else stops and everyone is quiet or is it a time when you are quiet in the bible? No enforced quiet time here, but my kids do find time in the day for reading and it is usually quiet. We desperately need quiet time in our house! However, my father controls the TV and the volume. So, it will always be noisy in our house as he thinks he needs background noise all the time. As I type this, he is snoring in his chair while I am forced to watch the show he chose. It gets interesting when the dog starts barking and Andrew has his computer playing a movie with the volume on loud as well. Mom and I say it is like being in a blender!